If you walk into my classroom at any given time during the day, you’re going to see a classroom unlike traditional classrooms. You will see kids sitting on exercise balls bouncing, sitting on crate seats, leaning on pillows on the carpet, sitting in scoop chairs, laying on mats, and even sitting on stools. The only desk I have is a pink one seen in the above photo and it isn’t really a desk like you would find in traditional classrooms. Flexible seating has taken over my classroom. If you’ve read my blog for any given time, you know I’ve been teaching since this past January. 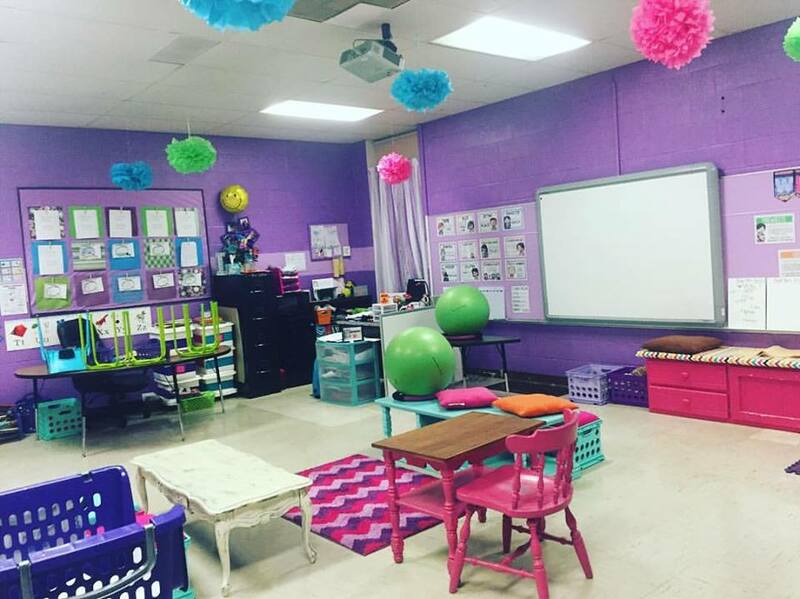 The other second grade teacher at my school and I started incorporating flexible seating back in March. It was successful, but our rules/expectations weren’t like they are this year because we were new to it as well. We wondered how our year would go starting with flexible seating and how the kids would react. You don’t know how excited they were back at Meet the Teacher night. They continue to be excited every day about their seating options. Our classroom rotates through centers the majority of the day allowing each group to sit at every option every day. This eliminates any sort of arguments like, “I want to sit there!” Everyone has the opportunity to sit every where. “Where do they store their stuff?” This is another question I get. We have community supplies with bins around the room containing crayons, glue sticks, pencils, scissors, etc. to eliminate kids having to get up and retrieve items. Library books are stored in bins. The kids have binders that are stored in a crate unit when they enter the classroom. They take these to their other class when we switch. We have had no problem with supplies at all this year so far. Another pro of flexible seating is the fact that my classroom is less cluttered. I couldn’t stand the amount of papers, etc. that would be kept in student desks. They just looked messy after awhile. They took up a ton of space too. Flexible seating allows students to utilize their individual learning styles. Before with desks, there is always the unconscious mindset that the kid has to be seated at all times. If they stood up, there was something wrong. With flexible seating, if a kid prefers to stand, he can at the tall table. If a kid wants to lay down and use a clip board, GO FOR IT! It never bothers me to look up and see a kid just chilling on the floor and working away. I know I can’t stand when I have to sit still for too long. Classwork I did for college online classes was done on my couch. I never sat at a desk, so why should we ask kids to do that ALL day long? I know for certain I feel much more tired at the end of a day where I sit all day than one I am up moving the whole time. I’m sure it’s the same for kids. The combination of doing stations and having kids rotate with flexible seating to me is a winning combo. You’re giving them movement and comfort all day long. The only cons that I have had with flexible seating is the initial stages of teaching rules/expectations of how to use the flexible seating. I even added where I can take a dojo point on ClassDojo if a child continues to misuse flexible seating. This has helped tremendously. I make it a point to give positive immediate reinforcement to kids who are using the seating correctly so that other kids notice and do the same. I also immediately ward off any misuse. Modeling at the beginning of the year helps as well. It takes time to make sure everyone understands the expectations on how to use flexible seating, but you also have to remember that these are kids and they will make mistakes. The pros of flexible seating outweigh the cons all day in my book. I can say for sure that the kids act a lot more motivated and excited to be at school. They’ve told me they feel lucky to have the seating options that we have provided for them. In my heart I feel like flexible seating is best for kids and that’s why I’m such a big fan of it. 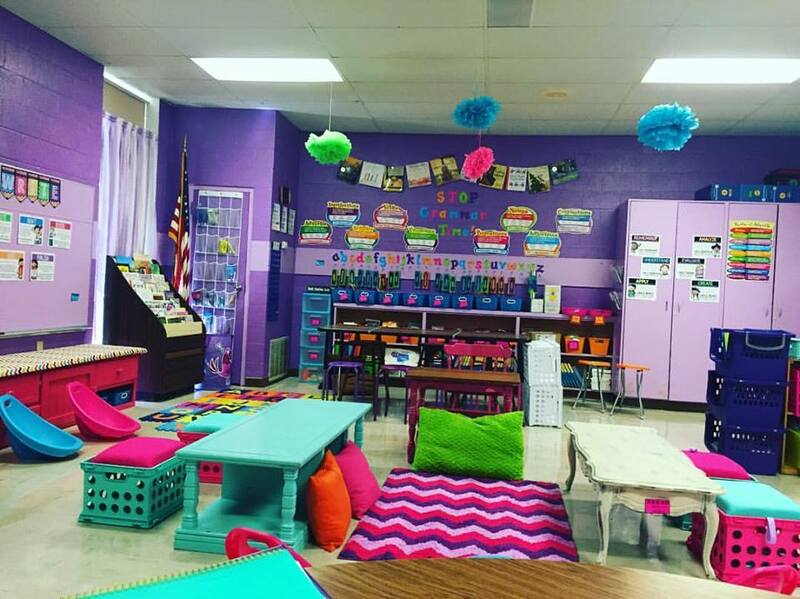 Love your flex seating…just curious as to where/how you have your kids store their supplies (binders, workbooks, notebooks) ? I flex seat and this is my only struggle. Thanks!